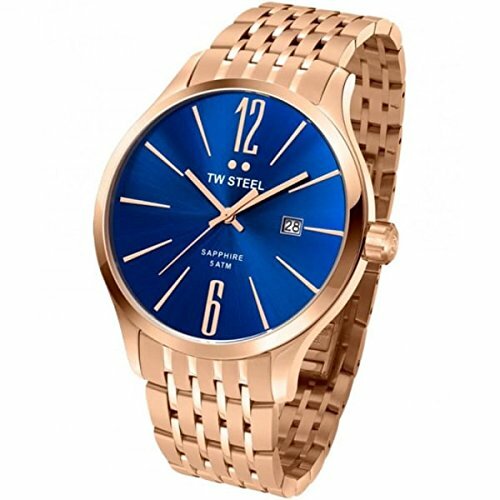 TW Steel Men’s Quartz Watch with Blue Dial Analogue Display and Rose Gold Stainless Steel Rose Gold Plated Bracelet TW1309. This gents TW Steel Slim watch has a PVD rose plating case and is powered by a quartz movement. It is fastened with a rose metal bracelet and has a blue dial. The watch also has a date function.